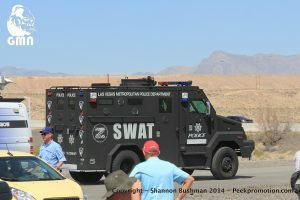 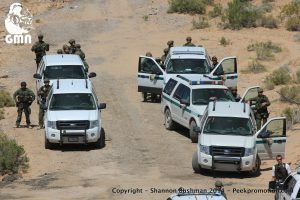 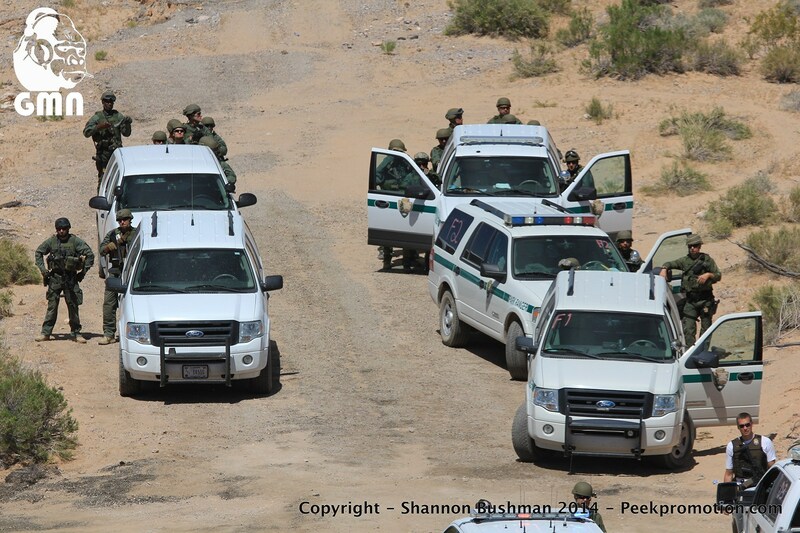 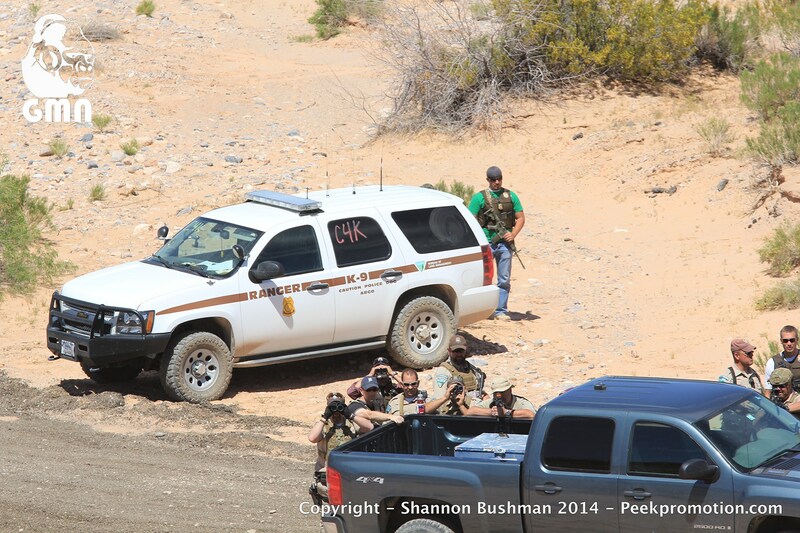 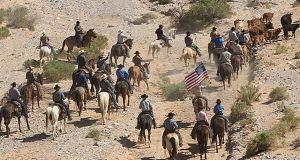 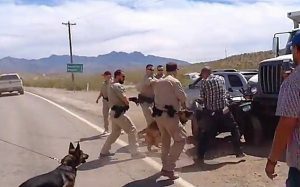 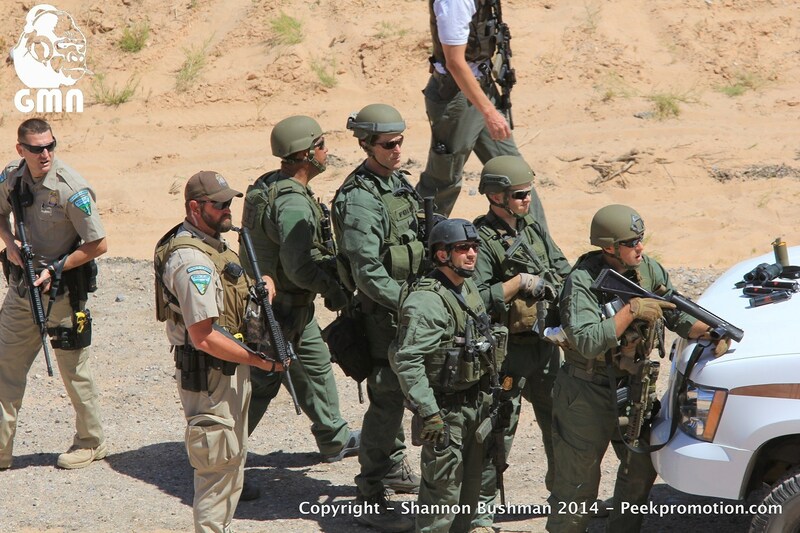 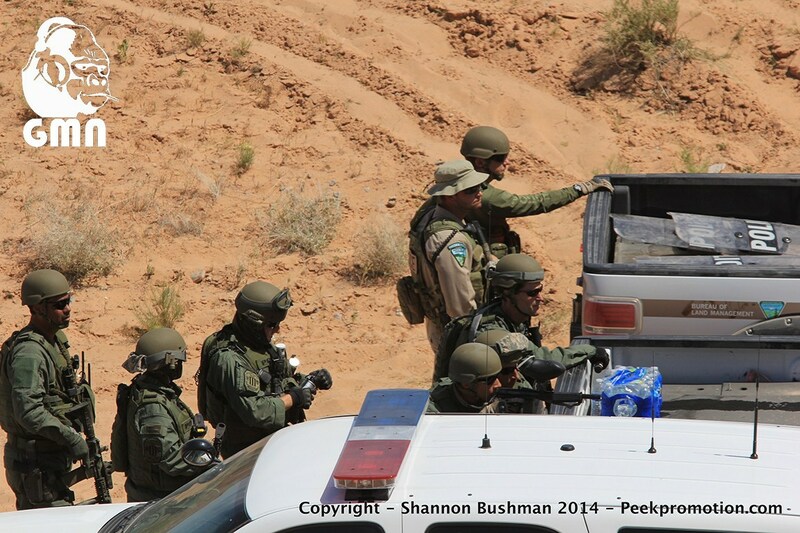 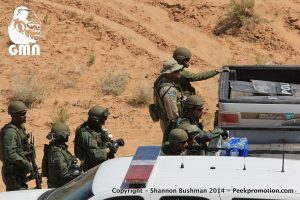 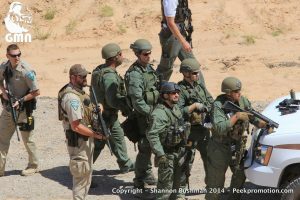 Leaked Video: Are feds lying about Bunkerville LEOs being 'outgunned'? 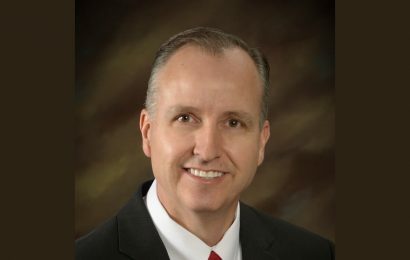 Eric Parker, acquitted in the second trial of most counts, is awaiting a third-trial on charges of assault and threats against Bureau of Land Management agents. 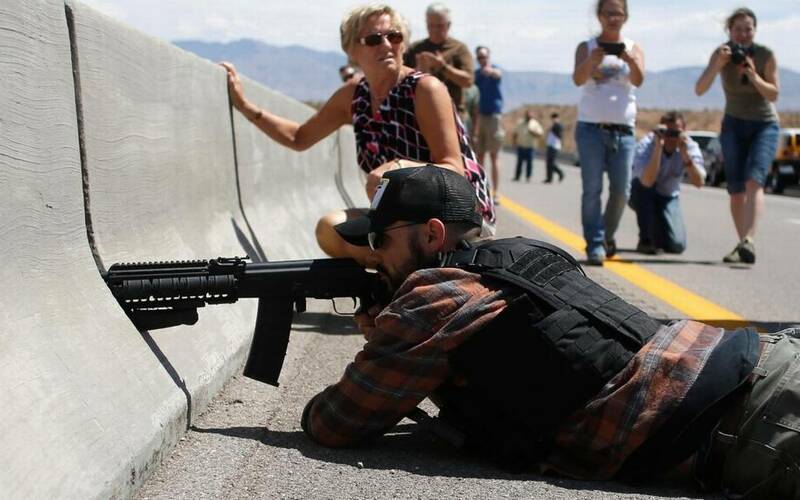 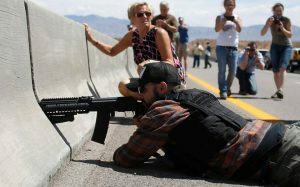 Although media have used photos of Parker with his rifle, eyeing goings on below from between cement barriers atop the I-15 overpass, to symbolize the ‘aggression’ of the protesters, one can clearly see that curious tourists, many with cameras, are standing just feet away from Parker, apparently with no fear for their safety.